This VW Passat has been in our family from new. We use it as a second car if my wife or I need the family car. It's in good condition for its age, runs and pulls really well. 103,550 miles on the clock so has averaged 8000 per year in a dignified manner. Great running engine and transmission. Nice and fast and will get 40 combined mpg. This car is the ultimate motorway cruiser. Outside needs a little TLC hence the great price. It's a Cat C so it has the newer LCI front end but there's a bit of clear coat peeling and a scratch down the passenger side. Owned since 2007. MOT failure on Brakes and Ball Joints. This is a Second of car of mine, it was a great run around very smooth. It has potential engine seizure but I honestly do not know more than that other than it didn’t work when it broke down and going by what the RAC gave as a diagnosis. New listingsierra rs cosworth 2wd lhd no reserve!! Never been welded. with 106kms about 68000 miles. All original paint inside has been painted outside. Could do with a bit of tlc on paint. Colour grey with grey cloth. Has asi certificate for condition. The tyres have plenty of tread also have 2 new ones to go with it. Alloy spare. It had a new mot last week. Sevice book is stamped to 44 k the previous owner has done a lot of work to this car and I have all receipts. BMW 525d LCI m sport in factory white. Straight through exhaust. Which are very rare to find a factory white M sport. Genuine 19" spiders. Paint work is mint Apart from one little mark on the front bumper. It's had new springs and new brakes and calipers on the rear. Tyres are all good. It has full black leather heated seats. First to see will buy! 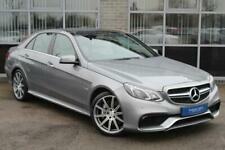 320d m sport Grey 2007 57 plate automatic. Mot till 24 may 2019. Rear roof spoiler. Rear bonnet spoiler. BMW m2 style front bumper aggressive look. M performance kit. garage did say it may be the head gas kit. You are looking at an incredibly tidy E46 330D Automatic. 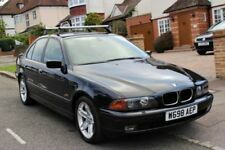 I have had newer BMWs but prefer the E46 for styling and simplicity. This might be traceable through BMW I imagine though. 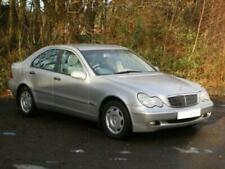 All the mileage adds up on the DVSA website and the condition of the car reflects the low mileage for the age. 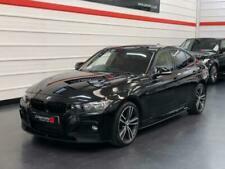 2010 “59” BMW 320D M SPORT 177. MOT TILL JAN 2020. 4DR SALOON. HEATED CREAM LEATHER SEATS. DRIVES SPOT ON NO ISSUES. 18” MV3 ALLOYS. 2 KEYS, FULL HISTORY. Great restoration project for anyone who is looking for a classic and rare model from Honda. Good service history paper work. New Cam-belt was installed at 98k. New radiator is ready to go in and is apart of sale. This is the last of the earlier straight 6 versions, before the GM V8 was introduced. -The original Jaguar radio is included. -Includes original Jaguar owners club receipts. -Two keys included with original. ML Car Sales - Call us on 441946760936 or click here to find out more. Court Street Cars - Call us on 441382723296 or click here to find out more. 18" 15 spoke Special Edition alloy wheels with locking nuts. Audi Concert RDS stereo and CD player. Electric heated door mirrors. Front and rear electric windows. Full service history with all receipts for every job done, last one done 4 months ago. This is a seriously fast car and will run toe to toe with a bmw E92 M3. Full bmw service history- gearbox had a full rebuild last year at a cost of £2,000 so at least you know it will be good for many years. 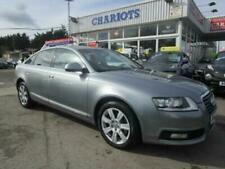 Top of the range, well cared for luxury VW Passat, with the benefit of four wheel drive and Automatic/Tiptronic gearbox. With the outstanding balance to be paid on collection. 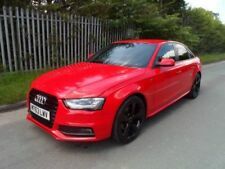 RW CARS LTD - Viewing by apointment,part exchange welcome,low cost finance available ring now for quote - Call us on 441332943591 or click here to find out more. BMW Professional Audio with CD Player and Aux Input. Immaculate condition throughout. Exclusive Edition with Roof Surrounds and Mahogany Trim. Tyre Puncture Warning System. Under-Door Courtesy Light.